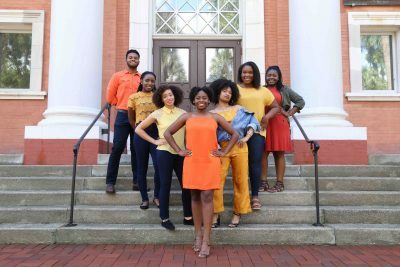 A block party and a ball hosted by the Black Student Association, a workshop on “Dismantling Anti-Blackness,” a bus tour of historic sites around DeLand, and other events will celebrate Black History Month in February. Events kick off with the Black Student Association Block Party from 4 to 6 p.m. on this Friday, Feb. 1, on the Stetson Green, and conclude with the BSA Ball and Awards Ceremony on Feb. 28 in the Stetson Room of the Carlton Union Building. “The importance of our events is simply that no one else outside of the Office of Diversity and Inclusion acknowledges Black History Month on a university-wide scale,” said Kala Diltz, the Black Student Association president and an intern in the Office of Diversity and Inclusion. A junior, Diltz is a biology pre-veterinarian major with a minor in Africana studies. Visit the Stetson Black Student Association’s Facebook page or HatterSync to learn more about the student group. 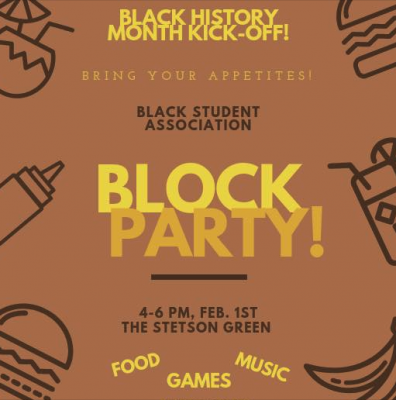 * Black Student Association Block Party — 4-6 p.m. Friday, Feb. 1, on the Stetson Green. The event will include food, music and games, and is open to all Stetson students, faculty and staff. * Dismantling Anti-Blackness — workshop with guest speaker Lashae Copeland from the Hope Community, 6-8 p.m. Thursday, Feb. 7, Rinker Welcome Center. The workshop is being presented by the Black Student Association, Caribbean Student Association and Stetson’s Office of Diversity and Inclusion. Cultural credit available. Following a light breakfast and brief remarks, the bus tour will visit a number of DeLand’s historic locations, including a sandwich shop where African American high school students protested segregated lunch counters, a courtroom where victims of white racial violence struggled to find justice, and the African American Museum of the Arts. Cultural credit available. * Real Talk: Black Power Black Movement – a discussion of the Black Power movement throughout the 1960s and ’70s, facilitated by the Office of Diversity and Inclusion, 6-7:30 p.m. Monday, Feb. 11, duPont-Ball Library Room 25L. * Black Film Night – screening of the movie “Pariah” followed by a discussion on the stigmatization of Blacks within the LGBTQ+ community, presented by the Black Student Association and the Office of Diversity and Inclusion, 5 p.m. on Tuesday, Feb. 12, duPont-Ball Library Room 25L. Cultural credit available. 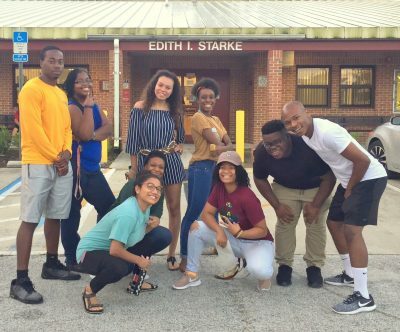 Members of Stetson’s Black Student Association participated in National Walk to School Day. They included, standing from left: Tumas Williams, Joanna White, Aliya Cruise, LaBritney Twillie, Emanuel “EJ” Evans and Malachi Gabriel. Kneeling from left: Rubyselda “Ruby” Moran, Kayla Murray and Irene Laws. * Human Library — open to any and everyone on the Stetson campus who has a story to share, whether academic or non-academic, 11:30 a.m.-3 p.m. on Wednesday, Feb. 15, duPont-Ball Library main floor. Cultural credit available. * Woman Empowerment Lunch with the Leadership Education and Development Team and the Black Student Union, noon on Friday, Feb. 22, Carlton Union Building. * BSA Ball and Awards Ceremony – 6-8 p.m. on Thursday, Feb. 28, Stetson Room in the Carlton Union Building (CUB 230). Admission is free but attendees are requested to RSVP via HatterSync. The Black Student Association will highlight accomplishments of the past year and present its Black Panther Award to an individual within the organization who has done outstanding community service, said BSA president Kala Diltz. Awards also will be presented to the BSA’s most active members. Cultural credit available.